It might be strange to think that an AFL team sitting 7th on the ladder has in fact made it through the 2016 AFL Grand Final but, for the Western Bulldogs team, this is just the case. How, might you ask have the dogs allowed themselves into this favourable position? One thing that has been paramount for this team’s success is their recruitment strategy and implementation. AFL recruiters work 3 – 4 years in advance, in the hope that within that time they formulate a winning team. For the dogs it began back in 2012/13 with advantageous draft picks, along with young gun forward Tom Boyd signing a 7 million dollar contract. In 2014 however things didn’t go to plan with the coach and captain at that time leaving the club. It was here the board had to re-think their strategy and set in place two new leaders that would bring the club out of its devastating losses. It was now in the hands of the recruiters to find someone who had the ability to shape this team with potential and lead them out of what was a current road block. 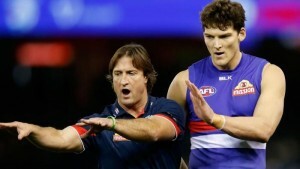 Hawthorn’s ex assistant coach: Luke Beveridge stepped up the challenge and brought with him what some would call the magic of a “good team culture”. Assigning a new team captain, Bob Murphy and working in house to transform the team that had been in the making since 2012. For the bulldogs it was the hard work of the recruitment team that lead them to today, 2016 grand final contenders. Focusing on finding the right people at the right time who would naturally excel in the roles they were assigned to in amongst the current state of the club. Whether they were leaders within the club or general teammates the recruitment team focused on not just the individual but the bigger picture too and how each member would fit into the team. It shows that a great leader can change the success of a team. But also that the formulation of a team can change the success of club. At Options Consulting Group we utilize the same mentality that the Western Bulldog recruiters have presented over the last 4 years: thorough planning, execution and follow up to ensure we find the perfect person for the role your are requiring and the ongoing success of their position. Success in team sports is formulated around recruitment, the same can be said for companies success, call us today to allow us to find your company’s success.